The new Sony BDP-S1100 region free Blu-ray Disc Player supports Full HD 1080p resolution and DVD upscaling to near HD quality. It features a completely incased optical drive for enhanced dust resistance. It also features a front panel USB port, which you can use to display your videos and photos on your TV or listen to your digital music. For optimum sound quality, the player supports advanced audio formats like Dolby TrueHD and DTS-HD Master Audio. You can even search for movie info using Gracenote. Our Sony BDP-S1100 hardware modified region free blu-ray player is also guaranteed work with any future firmware updates from Sony. It also features a perfect real time PAL to NTSC conversion which enables you to watch PAL DVDs on US TVs without any external video converter. The BDP-S1100 provides network connectivity via Ethernet, so you can access the Sony Entertainment Network and the 100+ apps it offers. These include Netflix, Hulu Plus, YouTube and more. Other connectivity options include HDMI and coaxial audio. Plus, the device is Energy Star 2.0 certified. Now you can enjoy your favorite Blu-ray Disc movies in Full HD 1080p resolution. You can even play your CDs for a complete entertainment experience. The Sony Entertainment Network provides access to 100+ streaming services including movies, TV shows and music from Netflix, YouTube, HuluPlus, Pandora, Amazon Instant Video and more. Also, access apps specifically designed for your TV including Fitness and Wellness apps. Gracenote searches across Internet apps and external services such as YouTube and Video Unlimited to provide you with detailed information on a wide-variety of movies. Dolby TrueHD and DTS-HD codecs reproduce high-definition sound with 7.1 channels of discrete audio for uncompromised quality. Easily display your videos and photos on your TV or listen to your digital music by simply connecting a USB storage device to the Blu-ray player's front USB port. The new Sony BDP-S3100 Blu-ray Disc Player come up with Super Wi-Fi features with completely incased optical drive for enhanced dust resistance. It supports Full HD 1080p resolution and DVD upscaling to near HD quality. You can also use your mobile device as a second display or as a remote control for the player. All you need is the Sony TV SideView app. You can even search for movie info using Gracenote. Our Sony BDP-S3100 hardware modified region free blu-ray player is also guaranteed work with any future firmware updates from Sony. It also features a perfect real time PAL to NTSC conversion which enables you to watch PAL DVDs on US TVs without any external video converter. The BDP-S3100 allows network connectivity via Sony Super Wi-Fi or Ethernet, so you can access the Sony Entertainment Network and the 100+ apps it offers. These include Netflix, Hulu Plus, YouTube and more. It also features a front panel USB port, which you can use to display your videos and photos on your TV or listen to your digital music. For optimum sound quality, the player supports advanced audio formats like Dolby TrueHD and DTS-HD Master Audio. You can place the Blu-ray Disc player throughout your home and enjoy a smooth and seamless streaming experience with its strong and fast 2.4 GHz wireless connection. You can control your player and browse content from your mobile devices with the free Sony TV SideView app. "Throw" your videos, pictures and music from your mobile device to your TV. Voice search is also available for some services. 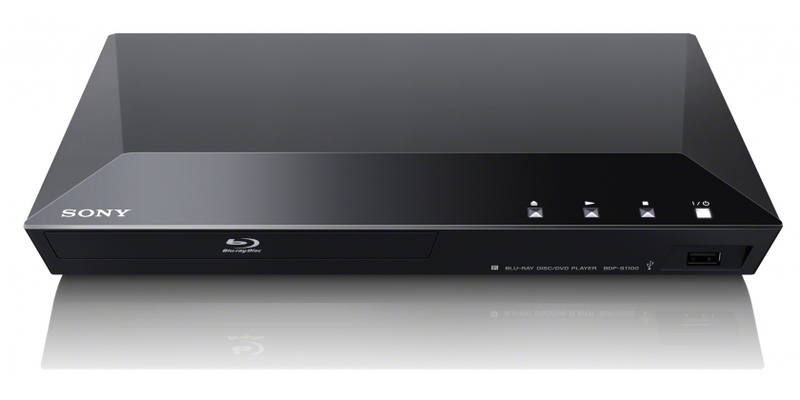 The new Sony BDP-S5100 3D Blu-ray Disc Player has a Super Wi-Fi feature. It is completely covered optical drive for enhanced dust resistance. It supports 2D and 3D Full HD 1080p resolution, 2D to 3D conversion and DVD upscaling to near HD quality. The BDP-S5100 provides network connectivity via Sony Super Wi-Fi or Ethernet, so you can access the Sony Entertainment Network and the 100+ apps it offers. These include Netflix, Hulu Plus, YouTube and more. Our Sony BDP-S5100 hardware modified region free blu-ray player is also guaranteed work with any future firmware updates from Sony. It also features a perfect real time PAL to NTSC conversion which enables you to watch PAL DVDs on US TVs without any external video converter. Sony BDP-S5100 features a front panel USB port, which you can use to display your videos and photos on your TV or listen to your digital music. For optimum sound quality, the player supports advanced audio formats like Dolby TrueHD and DTS-HD Master Audio. Other connectivity options include HDMI and coaxial audio. Plus, the device is Energy Star 2.0 certified. Other features include a built-in web browser and access to social networking apps. You can even search for movie info using Gracenote. Fast, reliable 2.4 GHz wireless connectivity allows you to place the Blu-ray Disc player anywhere in your home and enjoy a smooth and seamless streaming experience. Enjoy 3D Blu-ray Disc movies in Full HD 1080p and upscale DVDs to near HD quality. The 2D to 3D conversion feature allows your DVD and Blu-ray Disc movies to be automatically converted into 3D for playback on your 3D TV. Using DLNA you can wirelessly access music, videos and photos from your PC or other compatible device and play them on your TV. Gracenote searches across Internet apps and external services such as YouTube and Video Unlimited to provide you with detailed information on a wide variety of movies. Browse the Internet with your mobile devices via TV SideView application, USB keyboard (not supplied) or the supplied remote. With the free Sony TV SideView app, you can control your player and browse content from your mobile devices and stream videos, pictures and music from your mobile device to your TV. Voice search is also available for some services. Great reviews :) I remember myself buying the second one on the list - it was a great deal ;) Thank you for posting.